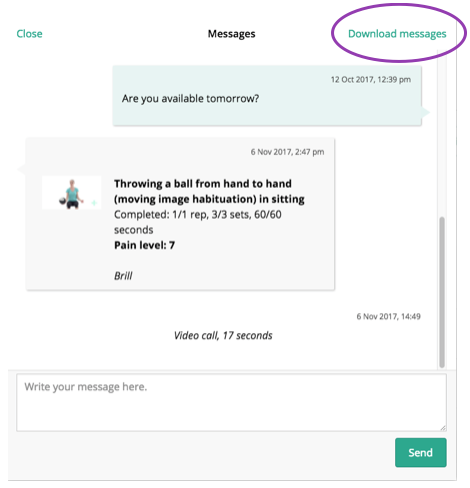 As long as your clients record remains on your Physitrack account, you will be able to access all messages and call history that has occurred between you and your client. The main area to access this client specific information is from their individual Client file in Physitrack. However, you can also access some of this information via the Connect menu. More information on that can be found in the links at the bottom of this page. 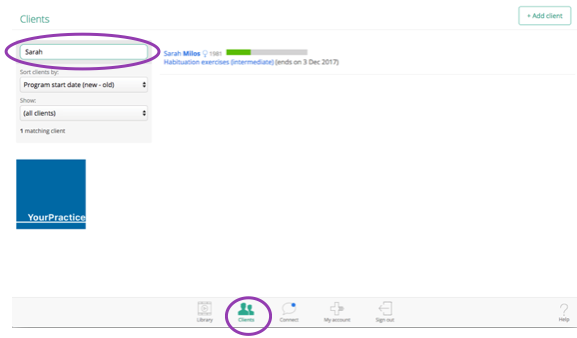 Find your clients file in the Client menu at the bottom of your Physitrack page. Click on their file to open their record, then click on the speech bubble in the top right corner. Here you will see all written messages displayed, and a log of any Telehealth calls that have taken place with this client. Download this information to store elsewhere via the "Download messages" function in the top right corner.